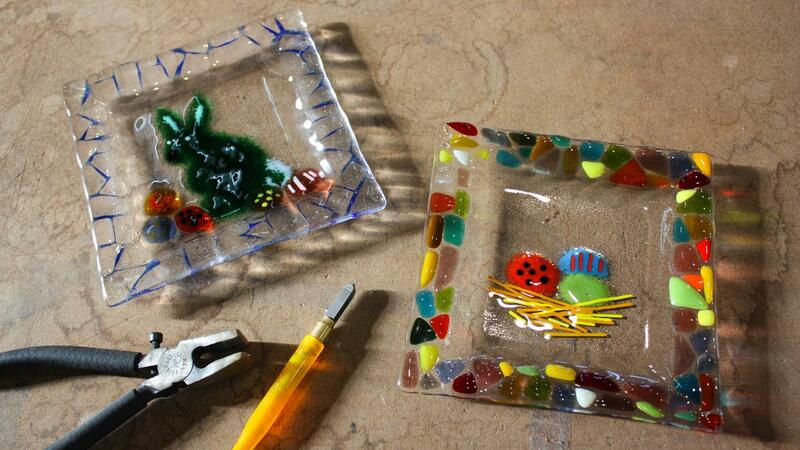 Learn to cut, fuse and arrange coloured glass. Apply colour accents in crushed glass to layer soft atmospheric effects. All class ages are 8+ independently. Glass needs to anneal in a kiln for at least 48 hours before being taken home. Postage can be arranged at an additional cost.